Most of my life, as I have read Paul's statement in Romans 1:18-25, I have applied it in my mind to the heathen nations. Recognizing that the principles of God's Word apply to all of us, I still did not feel any particular urgency to try to make application to the present generation or myself. Although I have been teaching from Romans for about 50 years, I feel humbled almost to the point of humiliation to realize how little I know about it. As I began to teach it again in a Wednesday evening class, some thoughts came to me as I strove to study more deeply from those verses. First, did those Gentiles know God as well as you and I know him? It should be evident without argument that they did not. They could recognize his eternal power and divinity by reasoning about the things that are made (vs. 20), but they had little concept of his law or his love. In passing, let me suggest that I think the King James rendering of "theiotes" as "Godhead" is not as accurate as it should be. The word might be better translated as "Godhood" or "divinity" for they could not understand by looking at the creation the nature of the personal God about whom he speaks. In Colossians 2:9, when he says about Christ, "In Him dwelleth all the fullness of the Godhead (theotetos) bodily," he uses a different word. The difference in "theotetos" and "theiotes" may be as very small, but it is significant. Only by looking into God's revealed Word can one understand the "theotes" -- the fact that the Divine essence is composed of the Father, the Son and the Holy Spirit. But by looking at nature, one can discern his power and "theiotes" -- the fact that the universe had to come into being by some divine power. My primary point here is: If the ancient Gentiles were without excuse because that "when they knew God [even in that limited sense] they glorified Him not as God, neither were they thankful," how much more are we today without excuse. It would take more than one short article to expound properly on the implications of how we may fail to glorify him as God. Let me mention only a few possibilities that are applicable to us. Since Paul says in 1 Corinthians 10:31, "Do all to the glory of God" he includes such mundane or seemingly trivial things as eating or drinking. Does that include sleeping, sexual activity, golf, fishing, washing dishes and keeping house? I am persuaded that whenever a person does anything without any concern about whether it pleases God, he fails to glorify him as God. When he does that, he is in the same kind of danger the ancient Gentiles were of whom Paul speaks. I doubt that we can stress too strongly the point that it is possible for us, even preachers of the Gospel and those who are involved in great works for the Lord, to "worship and serve the creature more than the Creator" without ever being aware of it. First, we need to recognize that the term "creature" includes any created thing, not just the images "made like corruptible man, birds, four footed beasts and creeping things" which were prominent in their lives. It may shock you, but I assert that even programs like the ones with which I have been heavily involved for the past 40 years, of personal evangelism, correspondence Bible courses and world evangelism may become so important that one may let them take central place in his life rather than the glory of God. Surely every person who reads this is aware that some persons get so "high" on their own plan, program or effort that they lose sight of the central purpose of life, and even go so far as to try to damage or undermine some other activity which is planned to advance the cause of Christ. One of the problems with the "Crossroads Movement" was that it did what most of us who were heavily committed to personal evangelism had advocated over the years. 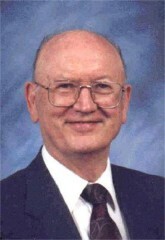 Clayton Pepper and I are the only two persons in the brotherhood of which I am aware that attended every personal evangelism workshop of which we knew in the brotherhood for 25 years. In almost every one of them we would hear and say things like this, "The purpose for which Christ came and died was to win souls. If you are not involved in doing that, your Christianity is in question." I have said on many occasions, "He came to seek and save the lost. What did you come for?" The main thing wrong with that concept is that it is not quite true! The ultimate purpose for which Christ came, and the ultimate purpose of everything he did was to glorify God. It is true that the most effective way to glorify God is to help in the salvation of a soul. But to make the means to an end the end itself is to pervert the truth and put ourselves in the same position those Gentiles were, about whom Paul speaks. Many projects are worth our attention. Social justice, helping the poor, movements that encourage and assist in disarmament or peace in general, environmental concerns, and other things are all worthwhile. Even more important are projects that relate directly to getting the Gospel to every person in the world. But when any project, person or thing, no matter how worthy, becomes the center of our concern rather than the glory of God being the center, we are in mortal danger. The thing I am emphasizing now is that it can happen to any of us in the same way. Paul says, "Professing themselves to be wise, they became fools." Any time a person thinks his knowledge of God and his Word is sufficient to make him impervious to correction and that he is an authority on some religious matter, he may become like Solomon. The wisest man who ever lived acted like the biggest fool because he ceased to keep the glory of God in the center of his being. It makes no difference whether it is riches, pleasure, knowledge or power, if it takes the place of God in our life it is all vanity. I cannot leave this subject without mentioning another phrase that may seem so insignificant, but is vital. After Paul says, "They glorified Him not as God" he says, "Neither were thankful." In my judgment, those two are so intimately connected as to be almost inseparable. We may mutter words and utter phrases about thanksgiving without really being thankful. When I was flying at 35,000 feet and my oxygen mask froze, I began to understand better how thankless I had been for the air I breathe. I hear persons around the Lord's Table rattle off words like a machine gun, "Lord we thank thee for Christ who died on the cross to save us from our sins. In Jesus' name. Amen." They were not there for Bible study, do not come back on Sunday night or Wednesday for worship, nor are they involved in doing anything else for Christ that we can see. I cannot but wonder if the words "we thank thee" really mean anything to them. It is not lightly that Paul says, "In everything -- with thanksgiving let your requests be made known unto God" (Philippians 4:6). One reason why thankfulness is so important is because it helps us to glorify God as God and keep him at the center of our consciousness. If I think I raised my garden, built my house, got my wife or my job without his help, or that my own wisdom and power are responsible for my great success, then I fail to be centered on God, and may be given up to a reprobate mind and sink even into the depths of immorality. This is more dangerous to each of us, and more easily done than most of us imagine. Is it possible that you are serving some created thing, whether it is television or golf or fishing rather than the Creator? Is it possible that many of the things you do are for your own interest or self-satisfaction rather than for the glory of God? If so, perhaps you are failing to glorify God as God, and are headed in the direction so poignantly pointed out by Paul.